by Dave Phillips. Forty original mazes that pop, jump, recede, advance, and shimmer employing exciting visual illusions and 3-D effects. Great variety includes 3-D mazes, eccentric circles, wavering squares, 2-page fortress maze, etc. All striking. Directions. Solutions. 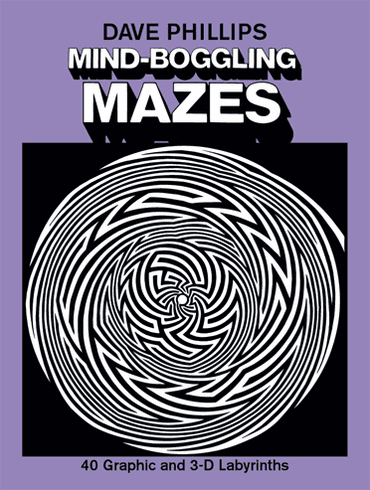 No duplication of other Phillips' mazes.